A road trip from Prince George (BC, Canada) to Vancouver in March 2007. Elevation and speed are from a handheld GPS. 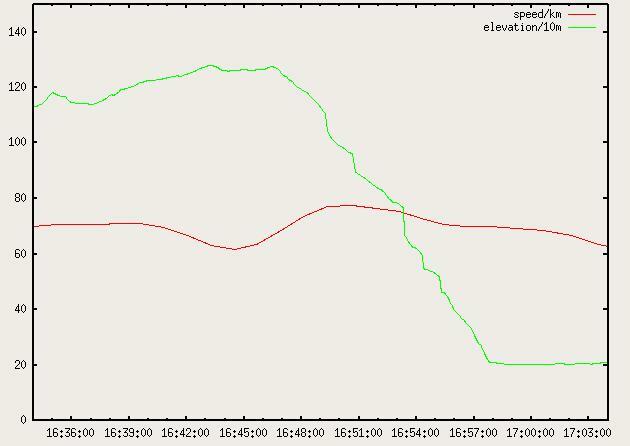 The Prius energy graph shows cumulative fuel consumption and electricity regenerated in the previous 5 minutes, so is offset from the GPS values which are averaged over a few seconds. General conclusion - the car uses more fuel going uphill (duh!). 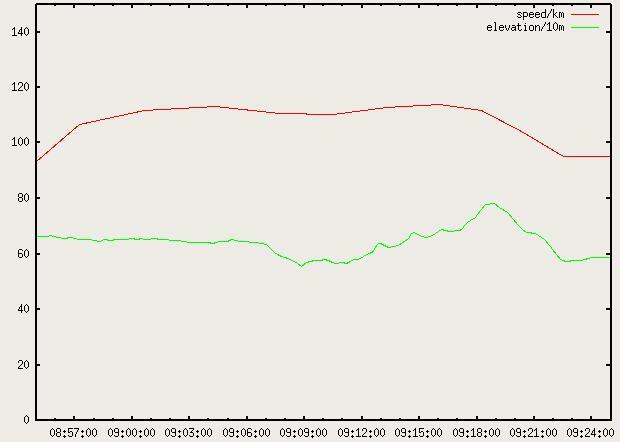 I can't really tell from the coarse energy graphs if average speed or cruise control make a significant difference. Also, the Prius had no problem running at about 120kmh for an extended period, or coping with extended uphill driving. Before buying the car, we had had some concerns (which the Toyota salesman did nothing to dispel) that the HV battery could become totally discharged and that performance would subsequently suffer. It didn't happen; quite. Taking a solid uphill stretch at 80kph with an elevation change of 1000m would do it, as would driving in reverse a few km. But no problems in the mountains north of Whistler, or passing a string of trucks at 150kph. The HV battery was nearly depleted at the end of the initial 400m climb, but the road flattened out and it started charging again before I could see what happened. During the long downhill stretch the HV battery completely charged in the first half. No fuel consumption at all! 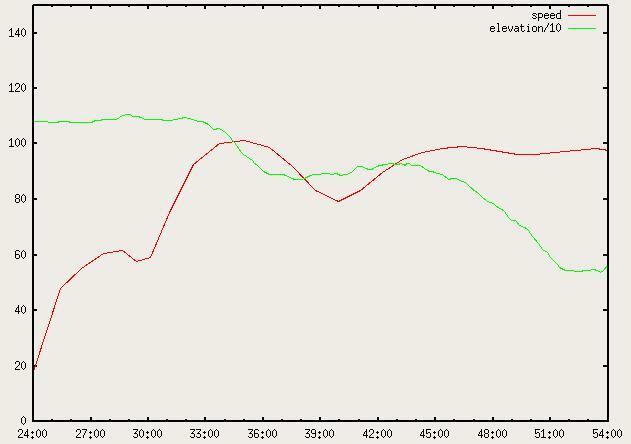 Engine braking ("B" position on the selector) seemed to have little effect, except that some engine noise kicks in and the car comes out of cruise control.